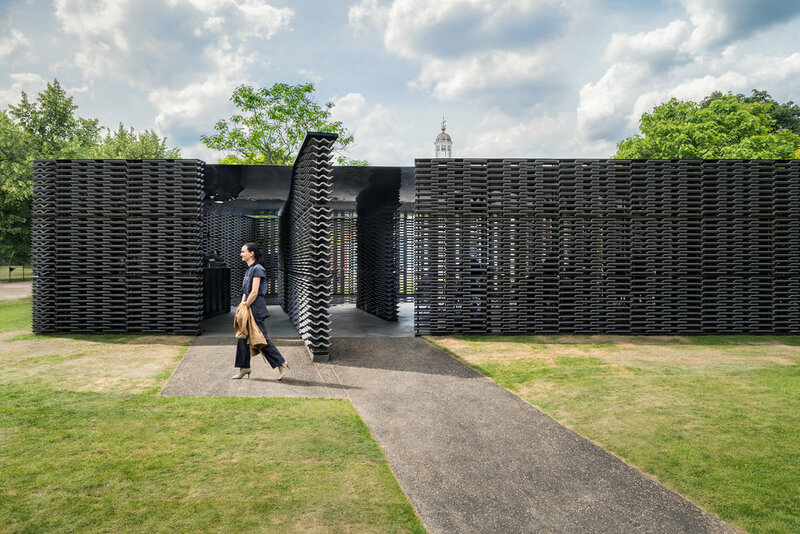 This summer I visited the opening day of 2018's Serpentine Pavilion at the Serpentine Gallery in Kensington Gardens, London. This year the winner was Frida Escobedo, from Mexico. 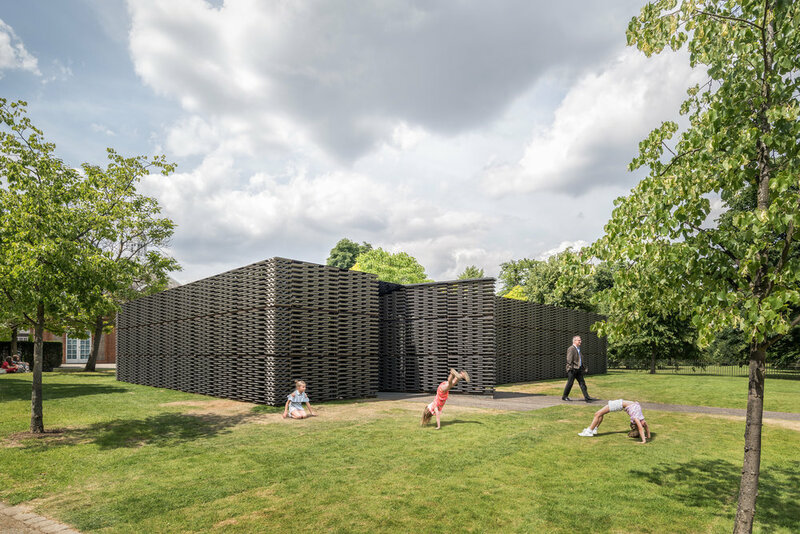 "The design for the Serpentine Pavilion 2018 is a meeting of material and historical inspirations inseparable from the city of London itself and an idea which has been central to our practice from the beginning: the expression of time in architecture through inventive use of everyday materials and simple forms. 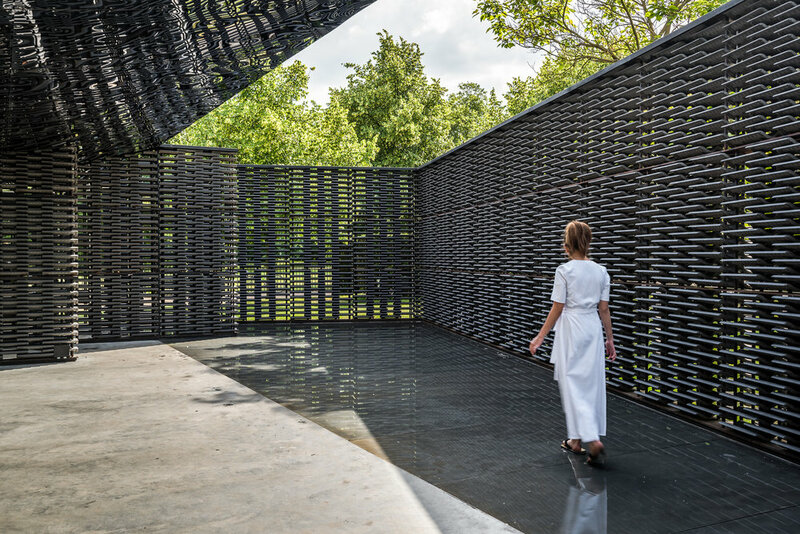 For the Serpentine Pavilion, we have added the materials of light and shadow, reflection and refraction, turning the building into a timepiece that charts the passage of the day." In light of the architect's statement above, I approached this shoot wanting to capture different views of the structure as the sun moved throughout the day, showing how the light either shines on or shines through the gaps in the tiles and how it reflects in the water and mirrored ceiling. The other important element that I wanted to focus on this year was how people interacted with the space across the day. I used a multiple exposure technique to capture many moments during a period of 15-20 minutes for each composition and then chose the most interesting moments and interactions from which to merge into a final image. 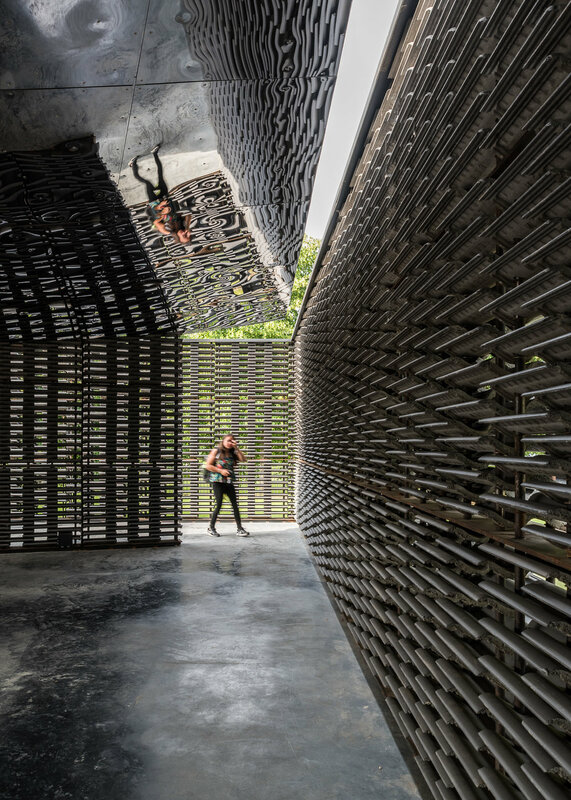 This processes created images which did not physically exist at any one moment in time and give you a perspective on how people were using and enjoying the space that cannot be achieved with single exposures and is a bit closer to how we humans experience architecture in the flesh. It was especially nice also be able to capture Frida visiting and experiencing the space herself, which I feel adds an extra personal touch to the images. 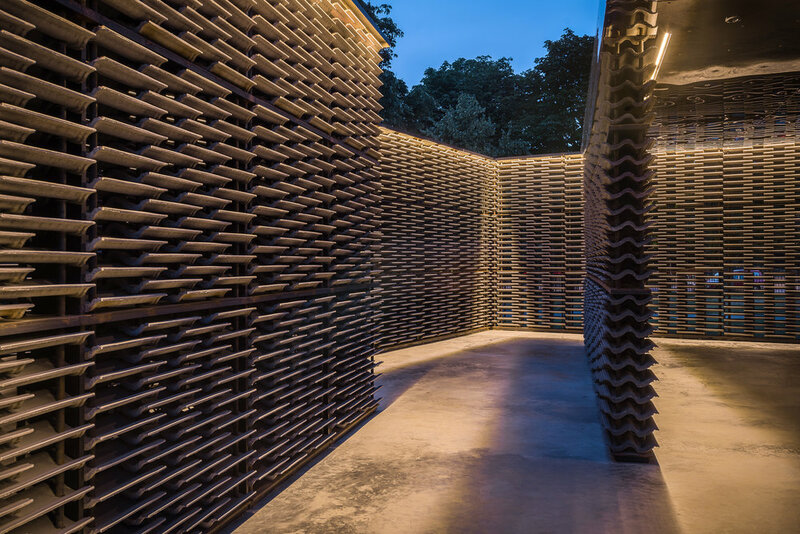 As sunset passed and dusk arrived, the Pavilion took on a totally different mood. The elegant down-lighting that reflects in the calm water of the pool was turned on and the pavilion closed to the public for a photographer's evening. 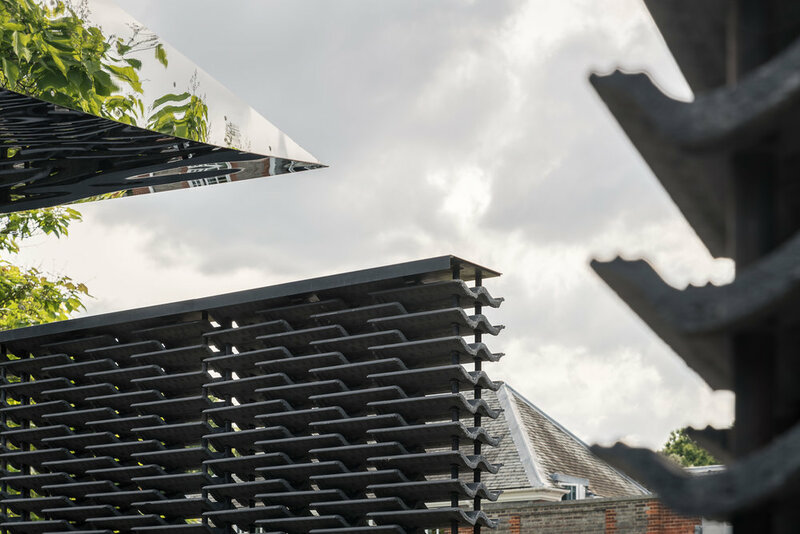 This allowed me to capture images without people (where the bare structure of the pavilion was the focus), creating very simple and graphic forms and showing a completely different aspect to the space from the daytime images. 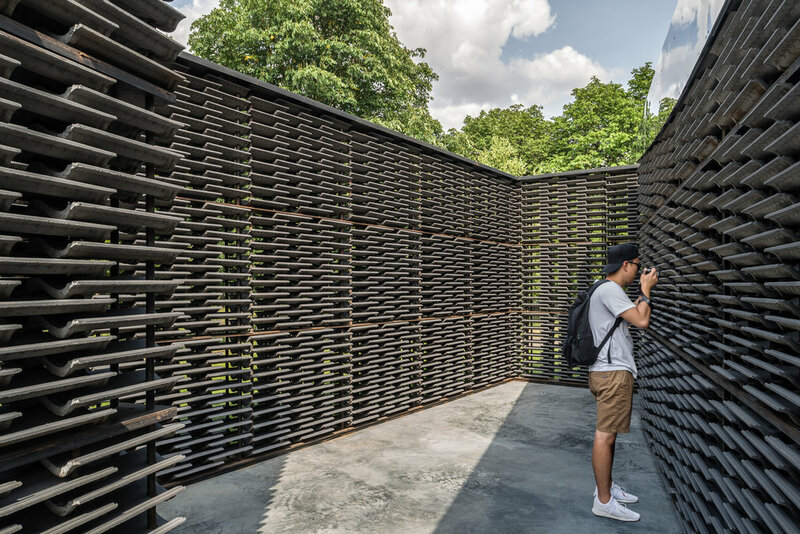 If you would like to hire an architectural photographer, then please take a look at my portfolio, and don't hesitate to contact me. I'll be happy to talk through your requirements and give you an estimate.